T-Mobile’s second quarter 2013 financial results certainly set the bar for the company moving forward as its UnCarrier moves propped the company up with its first real subscriber gains in years. Now, with UnCarrier and all three phases in full swing I’m hoping the second quarter wasn’t just a fluke and that T-Mobile’s third quarter subscriber count will continue heading north. The company announced late yesterday that it would hold its third quarter 2013 financial and operational results on Tuesday, November 5, 2013 at 9:00am Eastern Time. A press release will be issued two hours earlier (7:00am ET) and a live broadcast of the call will be held at the company’s investor website at: http://investor.t-mobile.com. Just to quickly recap, T-Mobile’s second quarter 2013 results yielded a growth of 1.1 million customers, including 678,000 new postpaid customers. In fact, T-Mobile’s numbers bested that of their three biggest rivals in Sprint, AT&T and Verizon. The company credited the “successful executive of major strategic initiatives including the launch of the iPhone, the launch of Simple Choice and JUMP!, and the pending spectrum acquisition from US Cellular” as part of reason for the company’s successful financial results. 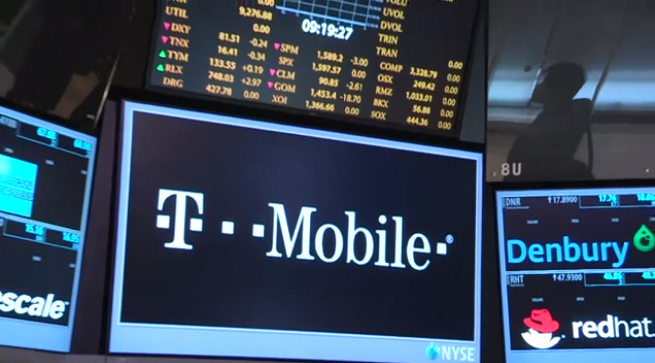 Can T-Mobile meet or best their second quarter results? ← (Updated) T-Mobile Moving to Cancel Some Grandfathered Rate Plans, Offer Customers New Options? T-Mobile didn’t just best Verizon, Sprint, & AT&T with 1.1 million new customers in the second quarter. They bested the three of them combined. Boom. Long live T-Mobile. I think that third quarter 2013 will show subscriber growth, as well. The company seems to be doing well financially. I am glad that AT&T was not allowed to purchase T-Mobile. My birthday as well. I would love it! Looking forward to the continued business & revenue growth. Go T-Mobile!!! !